Out of stock since Saturday, 19 January 2019. Due back soon. 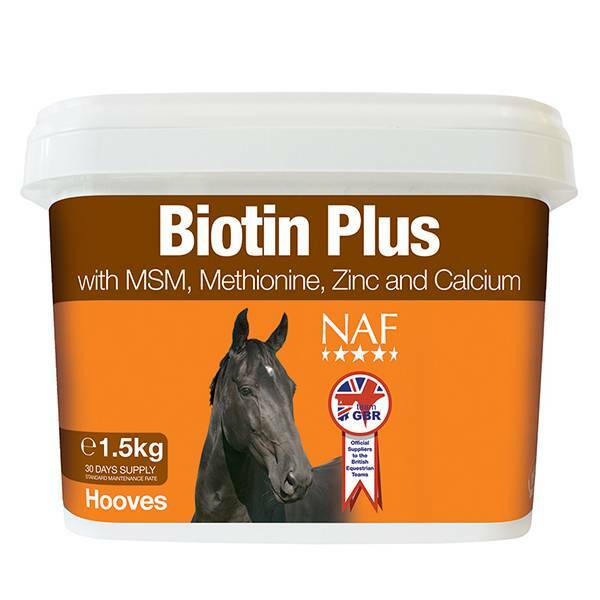 NAF Biotin Plus is a formula made up of various elements which help to strengthen the horse hooves. Biotin deficiencies have been indicated as one of the causes of weak hooves. 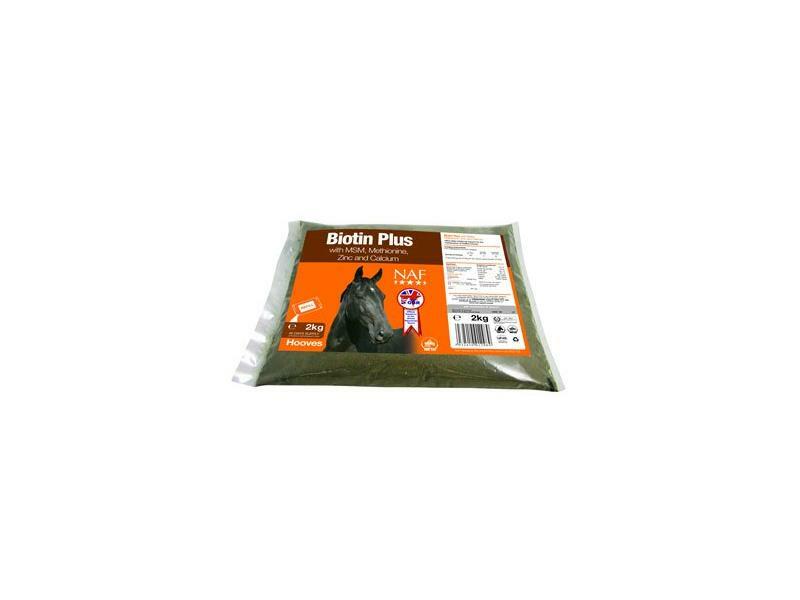 This supplement also contains methionine, MSM, zinc and calcium, and a supplementation of 15mg daily has been found to be beneficial to horn growth and strength. Grass meal, Calcium carbonate, Brewers' yeast, Rapeseed oil, Dextrin, Methyl sulphonyl methane. One 15ml scoop provides approximately 12.5g Biotin Premium Formula. 50g of NAF Biotin Premium Formula provides 15mg biotin. 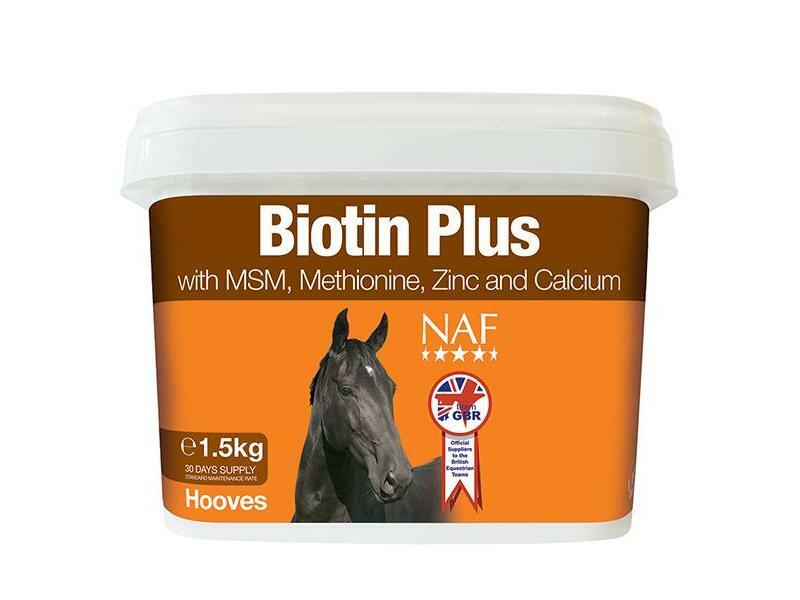 There are currently no questions for NAF Biotin Plus Premium Formula For Horses - be the first to ask one!